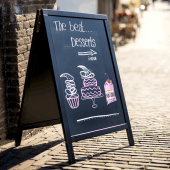 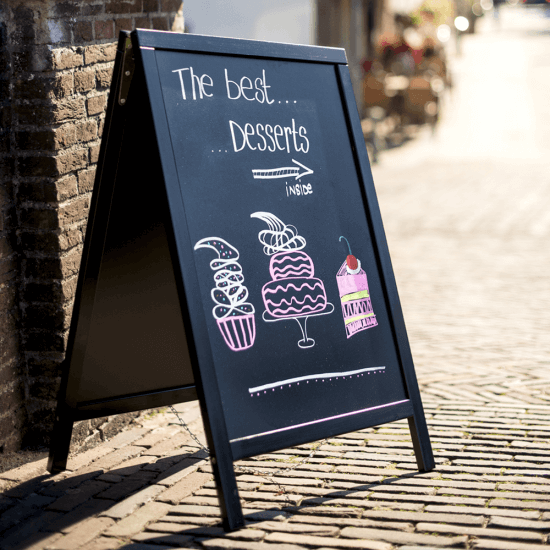 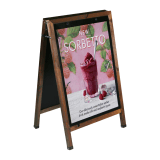 A wooden pavement sign is the ideal way to introduce outdoor advertising to your business and let people know who, what and where you are. 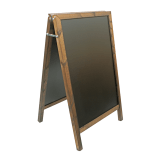 A Blackboard A Board is a great versatile addition as it is easy to update, easy to clean and folds away for neat and compact storage. 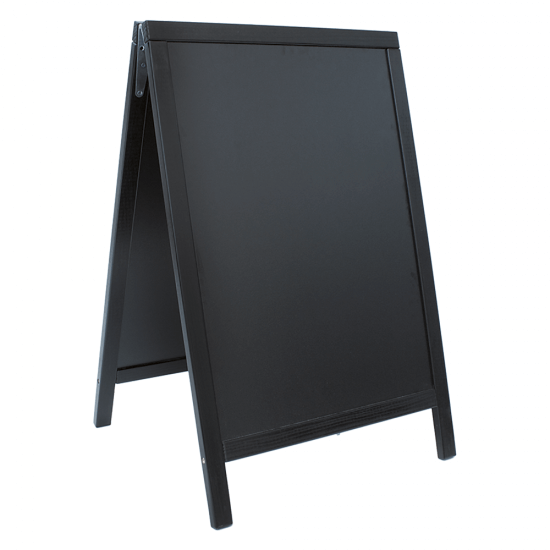 What is the A Board made from? 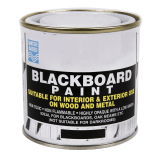 The frame is manufactured from durable wood with protective layers of lacquering and is spray painted in black paint. The board has a scratch and UV resistant writing surface to keep your display protected from the elements. 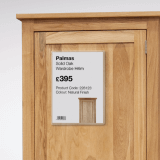 The back panels are made from MDF with melamine laminated fronts. The frame is finished with a centre hinge for extra stability. 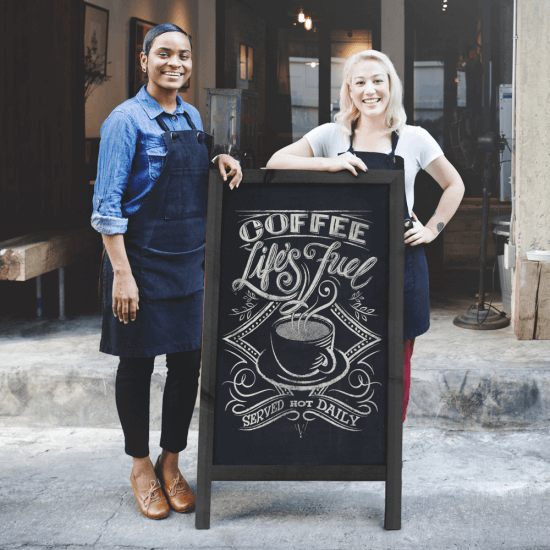 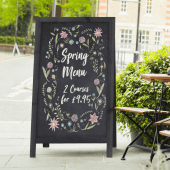 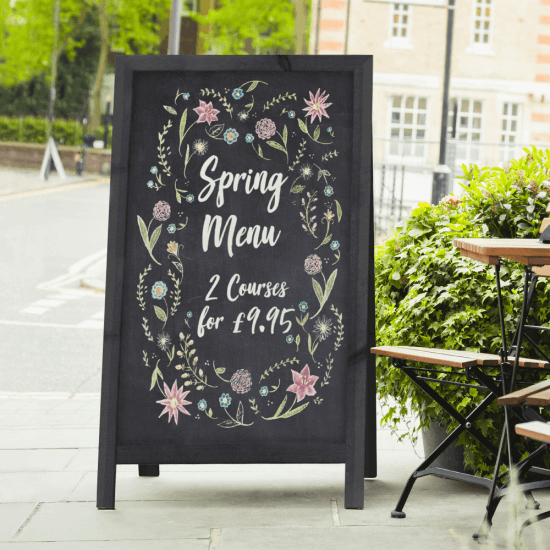 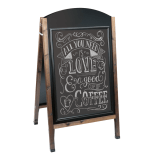 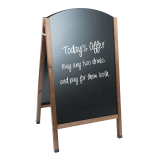 Can I use standard chalk sticks on this blackboard pavement sign? 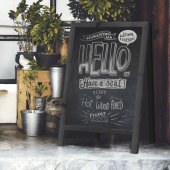 Yes, standard chalk sticks are fine to use on this pavement sign, however, we would recommend using our Chalk Pens which can be cleaned with our Chalk Board Eraser! 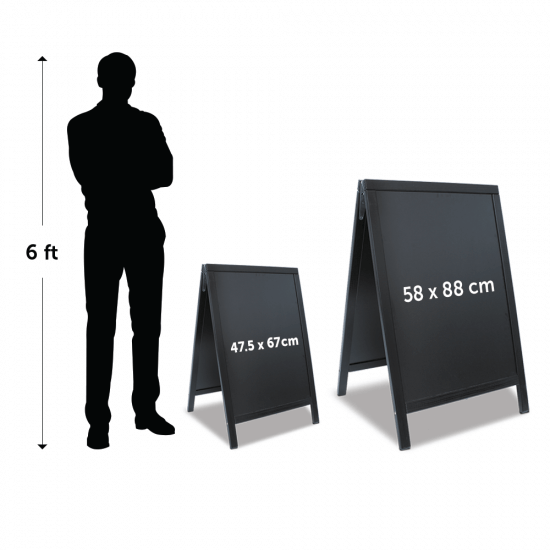 Are any other sizes available? 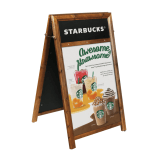 Yes, if you would like a larger or smaller size of the wooden A board, just get in touch with our team today for your bespoke quote. 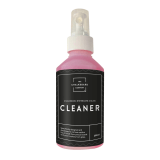 Nice product, super speedy delivery. 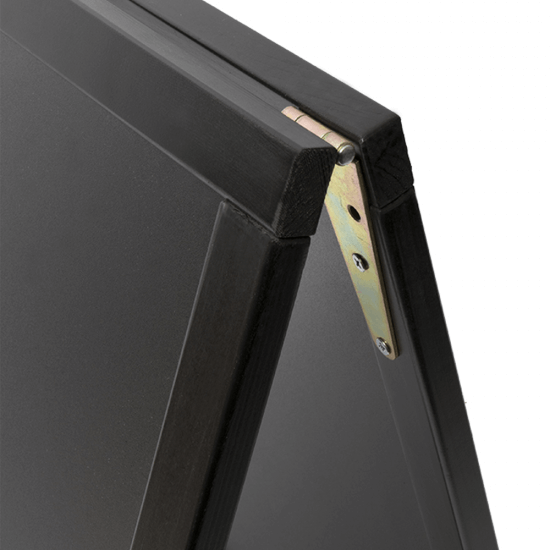 Only (and its small) criticism is that its quite light so blows over in wind easily, I've attached a sandbag to inside to anchor it.